Brahm's Yellow Dots: The Evidence. Gasp! 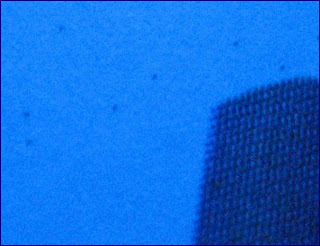 It's those tiny yellow dots. They're a bit hard to see, but one trick the EFF recommends is to shine a blue LED on the page, to make them "pop". 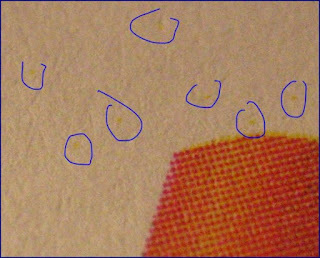 You can see these dots are one pixel, and printed extremely lightly. How many people with color printers are aware their printers are encoding information about WHEN and WHERE they print onto every page?